I confess... I met a sweet girl while walking Jenny around our neighborhood. We got to talking and she told me she is going into 9th grade this year. She then proceeded to ask me what grade I am going into. I'm 26. Cool. I confess... We have successfully almost made it through the summer without having a beach day. Oopsies. We live right next to a beach but for some reason just haven't made it out there. We are more of pool people! I confess... I told Parker that if I found out I had a terminal illness and only had 30 days to live, I would eat donuts for breakfast every single day. I pretty much always want a donut but sadly never indulge in such a treat. I confess... I stopped watching Dance Moms a year ago after my favorite dancer (Chloe) left and the show just got too dramatic for my taste, but I really loved Chloe while she was on the show. I was so excited when she won the teen choice award for Choice Dancer. That girl was put through the ringer on that show, so I love seeing her be successful. Also, no shame for having a Dance Mom related confession. Okay, just a little shame. I confess... I went into Target for bananas and proceeded to spend $145. That store gets me every. single. time. That's all folks! I hope yall have an excellent weekend! So so much, good stuff at Target! And oh gosh about the girl asking what grade you're in. People always think I'm sooo much younger than I am too. TARGET KILLS ME! gahhhh my bank account can't handle it! also, dance moms, i used to watch the crap out of that show, then it become so dang dramatic. 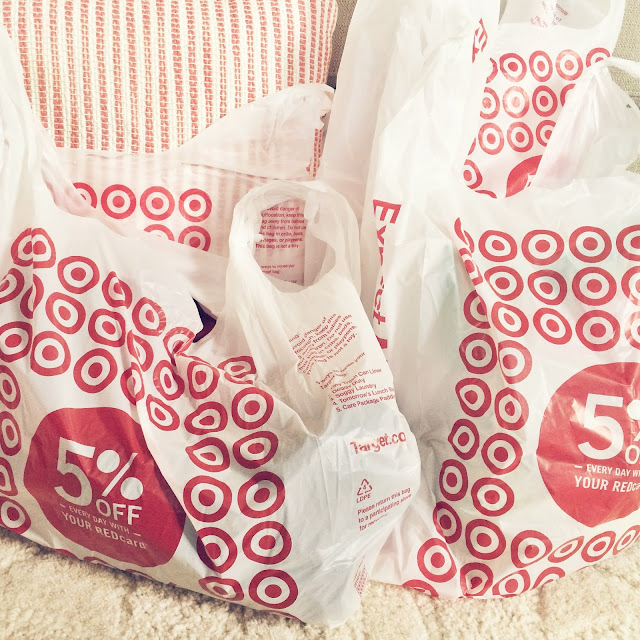 Can't beat Target - they have so much good stuff! Chloe was always my favorite on Dance Moms too, but yeah way to much drama. I love the beach and we only live about 10 minutes away from Lake Michigan but sadly I have only made it there a couple times this year. Oh how I love donuts haha! I try not to indulge too much. Oh Target... How I'm going to miss you!!! The town we're moving to doesn't have a target and the nearest one is 40 minutes away!!!! I always get people coming into my office that are looking for the HR Associate, and when I say they're looking at her, they give me a look like "You?! Are you old enough to even work here?!" Haha. My treat for shopping at the commissary is a package of donuts. I really wanted krullers on my last trip and couldn't find any. The downsides of living out west.